The foiling yachts of the America’s Cup have come on in leaps and bounds in recent years, with teams learning how to race them faster and faster, pushing the boundaries of what sailors can achieve. In this on-board clip, the six-man crew can be seen successfully turning the bow of their AC45 catamaran into the wind while carrying enough speed to keep the yacht flying on its foils. 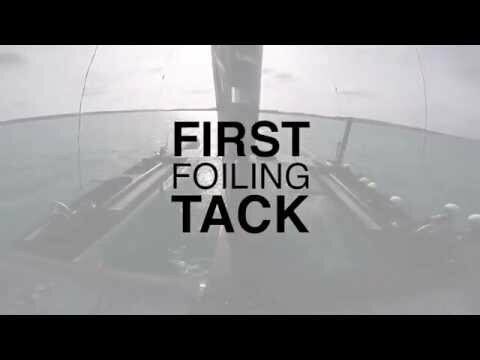 A foiling tack is seen by many as the last hurdle that America’s Cup teams have to clear before they can realistically fly around an entire race course on their foils without either of the hulls touching the water. Mastering the foiling tack manoeuvre could shave valuable seconds off the times recorded during the Louis Vuitton America’s Cup World Series and even decide who wins the Auld mug at next summer’s final in Bermuda. 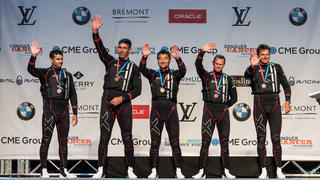 A late entry to the 35th America’s Cup, SoftBank Team Japan’s performances have surprised many within the sailing world, particularly when they took their first podium finish back in June at the America’s Cup World Series Chicago. They will be hoping to translate this positive momentum into another top-three finish at next month’s America’s Cup World Series Toulon (September 8-11), before the series moves on to Fukuoka for the first Japanese leg of the tour in November.